As we breeze through spring to greet summer, it’s time to bring out the bold prints and vibrant hues. Take a cue from these IG personalities and deck out your spring/summer wardrobe in fun, wearable looks! I feel like 1️⃣9️⃣ Shay finds 1️⃣8️⃣ Shay hilarious 😬. Thank you all for sticking by me, I can’t believe the next balloon pic is 20m! I need some good (read: crazy) photo ideas! Leave some below👇🏽!!! Style tip: To prevent the body suit from looking too plain, incorporate elements such as contrasting accessories or a pair of statement footwear to break out of the uniform tone. Sunniva boho top now available for backorder! Style tip: Complete your festival-ready getup with intricate jewellery pieces and a chic tassel bag – and you’re all set to channel your inner Coachella babe! Style tip: Pair the formal suit with a pair of casual sneakers to transform your ensemble into a wearable everyday look. Style tip: Put a spin to the twinset trend by throwing on a colourblock outerwear against the co-ord combo. Style tip: If you prefer a subtle take on the colourblocking trend, mix it up with a pair of classic denim jeans for a street-chic vibe. Style tip: An easy way to fancy up a casual maxi? Complement your outfit with a pair of stylish earrings and toss your hair into a ponytail to let it stand out, while still preserving the breezy, windswept look. Style tip: Switch out dull tones in your smart casuals for a pop of pastel to brighten up the otherwise monotonous look. Style tip: Pair your checkered garb with a plain top to give off a sophisticated touch while keeping it casual. When mixing patterns, match it with similar colour tones so it wouldn’t look too jarring. Style tip: Go crazy with prints this summer, whether it’s tropical motifs, polka dots or wild patterns. 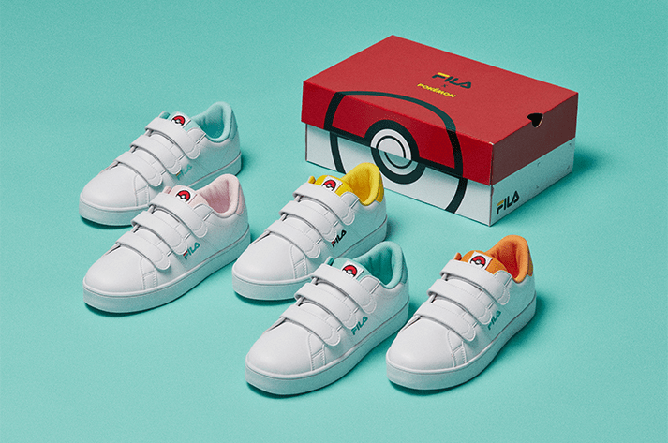 Pokémon fans and fellow sneakerheads, get ready to cop ’em all – because your favourite pocket monsters now have their very own sneaker line! 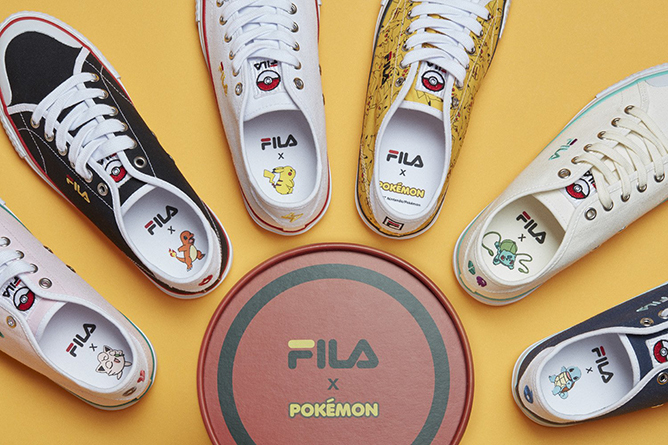 Your childhood dreams are about to come true with the new FILA x Pokémon capsule collection, which comes in six kawaii designs featuring iconic characters such as Pikachu, Charmander, Bulbasaur, Squirtle and Jigglypuff. What’s more, it’s packaged in an equally adorable Pokéball custom shoebox along with embroidered Pokémon patches. You can either get it in the Classic Kicks B silhouette at 39,000KRW (approximately S$47.80) or the Court Deluxe variant at 69,000KRW (approximately S$84.60). However, this collaboration range is only available for purchase in South Korea via the official FILA Korea website. If you can’t afford to fly all the way to kimchi land to get your hands (or feet) on these exclusive kicks, you can try your luck on Airfrov or order a pair from Harumio, a Korean proxy service that offers free shipping to Singapore. 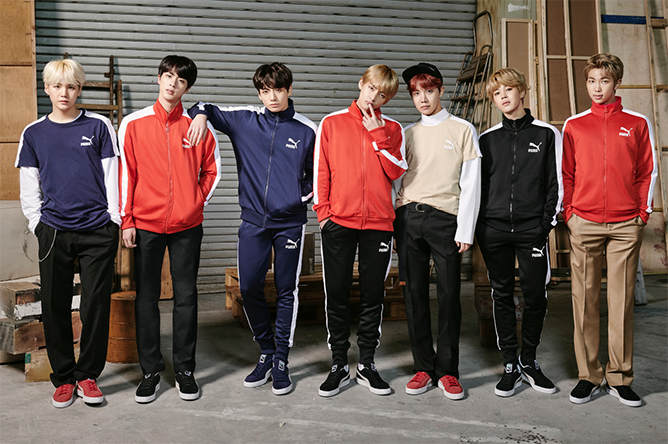 BTS Fans, You Can Soon Get Your Very Own Pair Of PUMAxBTS Kicks In Singapore! Who would’ve thought there’d ever be a day when we can get our hands on some legit “Made by BTS” kicks right here in Singapore? 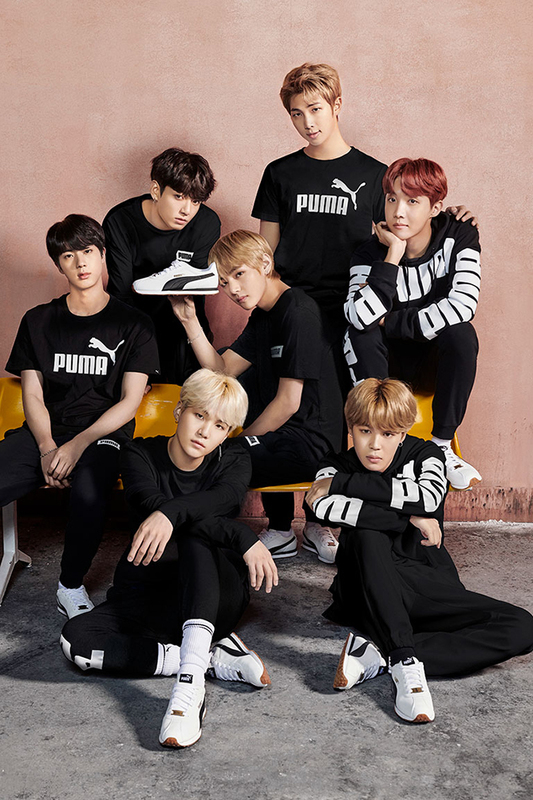 Having fronted campaigns for the footwear brand since 2015, it’s been recently announced that the K-pop trendsetters are the latest global ambassadors of Puma starting this year – and will soon be rolling out the brand new PUMAxBTS collection internationally. And guess what? Singapore is included! Set to launch in Korea in March, the collaborative line will then make its way to stores worldwide in July. 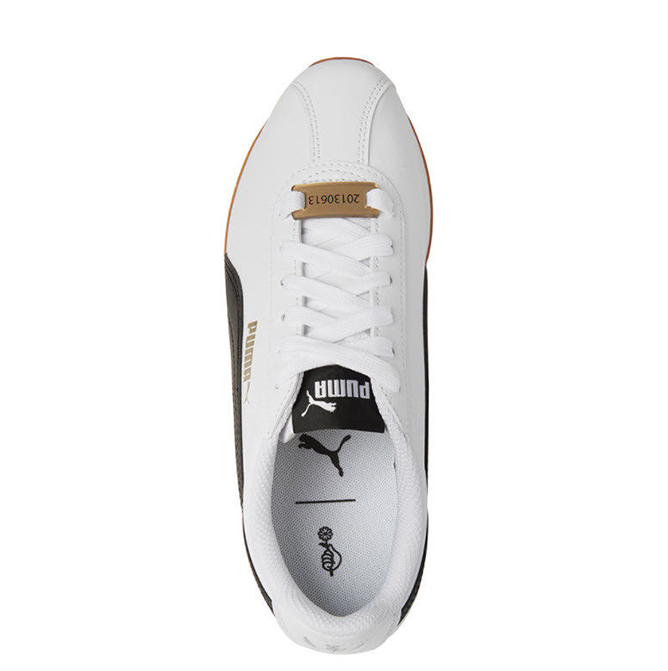 The new range will include sportswear basics as well as the classic Puma TURIN trainers, which features the lovely detail of a gold shoelace plate engraved with BTS’ debut date ‘20130613’ at the front. How meaningful is that? Additionally, SG ARMYs can also expect a follow-up capsule collection to be released later this fall. Couple wear AND shoes with BTS? Just take all our money, Puma! 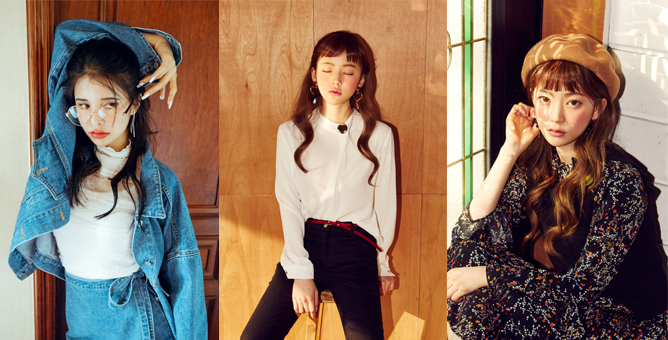 Huge news, K-style lovers: leading Korean fashion retailer TWEE has officially opened doors to its first flagship store at the heart of Singapore! Located at [email protected], the spankin’ new 4,030sqf store opened with much fanfare on 9 February 2018. It offers a diverse selection of Korean runway-inspired apparel and accessories for both men and women – from everyday basics to edgy streetwear, casual pieces for the weekend to dressy outfits for formal occasions. That’s not all; the folks at TWEE will be stocking 400 new styles every month so there’s always something to look forward to with each visit. 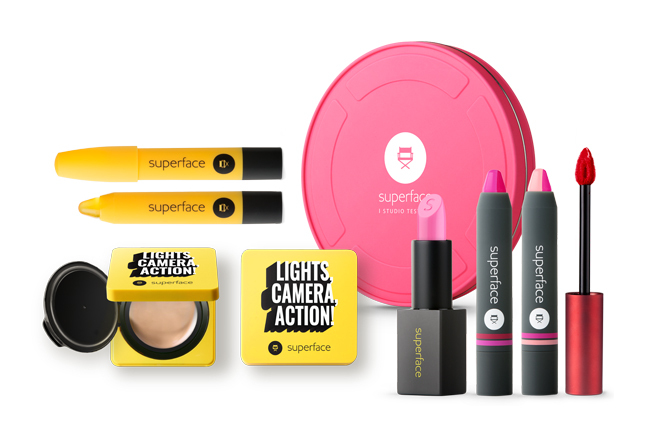 While you’re shopping to your heart’s content, don’t forget to check out the makeup counter where you can get your hands on beauty essentials from SUPERFACE and receive makeovers by TWEE’s in-house makeup artists. Apart from Korea, the Korean cosmetic brand can only be found in New York, Japan and now Singapore. TWEE Singapore is located at [email protected] #03-16 to 21, Singapore 238895. Fellow sneakerheads have been sporting the iconic silhouette of the New Balance 574 for years. This season, the footwear brand’s sweetening things up with a dreamy array of pastel-perfect shades just in time for spring. Available in a selection of candy-coloured hues – think millennial pinks, baby blues and cool mints – the uppers are constructed in in suede and vintage-inspired mesh for some major throwback vibes. Scroll through the gallery to peep at the entire collection. Psst, these babies are only available for a limited time only, so be sure to cop yourself a pair before they fly off the virtual shelves! An array of pastels crafted for you. Available online tomorrow. The New Balance 574 Classic Pastel collection retails at $119 each and is available on the New Balance pop-up e-store from 1 to 11 February 2018.